KYOTO SHINSENGUMI PARTY organized in 1976. The group members are citizens of KYOTO. should be joined in the JIDAIMATSURI-FESTIVAL. 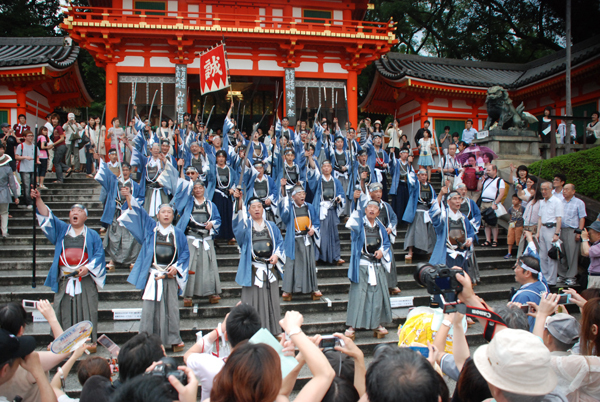 We hold SHINSENGUMI-FESTIVAL every 16th of July. These scenes are in the KYOTO SHINSENGUMI PARADE. 2015,We decided to stop this parade !